Brooke began to practice yoga with his guru, Baba Hari Dass, more than 30 years ago. (Click photo to view full bio). 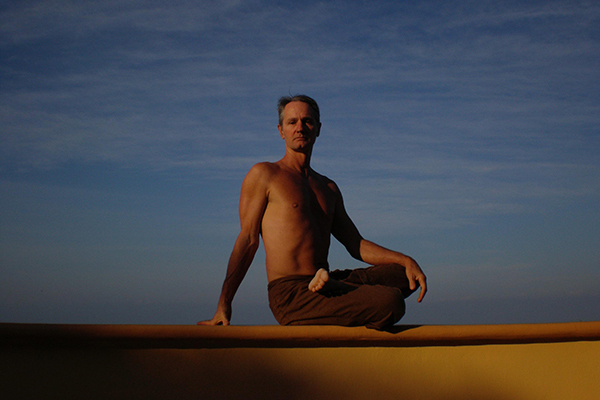 Spending his teenage years as a dedicated athlete, Brooke found the discipline of regular yoga practice to his liking. About the same time, Brooke began to explore the mystic traditions of various cultures. This led him to realize the universality of the quest for Spirit. Brooke’s yoga training and practice is rooted in the Yoga Sutras of Patanjali , the Hatha Yoga Pradipika , and Siva Samhita, all classical texts of yoga . Brooke completed the yoga teachers’ training program at Mt. Madonna Center. His practice and teaching deepen and evolve continually. Guided by years of experience and intuitive awareness, Brooke brings this ancient science to his students in a way that is highly practical to our lives today, here and now. Brooke’s classes involve instruction in asana, pranayama and meditation. Asanas are typically performed in the flowing style of vinyasa, with attention to the union of mind, body and breath. He encourages students to explore their own beings in this experience of yoga, to practice with shtira (steadiness) and sukha (ease / sweetness). He weaves timeless philosophy and insights into carrying the practice of yoga beyond the class, into all aspects of our lives.